Hildr Valkyrie is a one-woman band from Greece playing a wide mix of metal genres, like e.g. folk-Viking and pagan metal. Her newest longplayer, Revealing The Heathen Sun, was already released in November last year – but no reason to not review it after all! Revealing The Heathen Sun kicks off with the mainly instrumental intro The Primordial Sky God, where some folk metal orientation is already hinted upon. Thunder rumbles as introduction to Over Lands, Mountains And Shade, a folk / Celtic music track in the likes of Eluveitie. We Are Heathens then leans a tad more towards power metal in the beginning, before unraveling a beautiful piano instrumental interlude halfway through the song. Final Blot is marked by deep growls, while The Rune’s Song reminds me a bit of the Anette Olzon-phase style of Nightwish. Same goes for My Oath, that contains a curious mix between spoken words, sung lyrics and chants. Thematically, the songs revolve mainly around Norse mythology and Viking lifestyle, as can be gathered already for example from the title of the album’s seventh track, An Ode To All Father Odhinn. Bringer Of Life, Bearer Of Fire and Sayings Of The Higher One are more instrumental tracks, enriched with chants and growls. 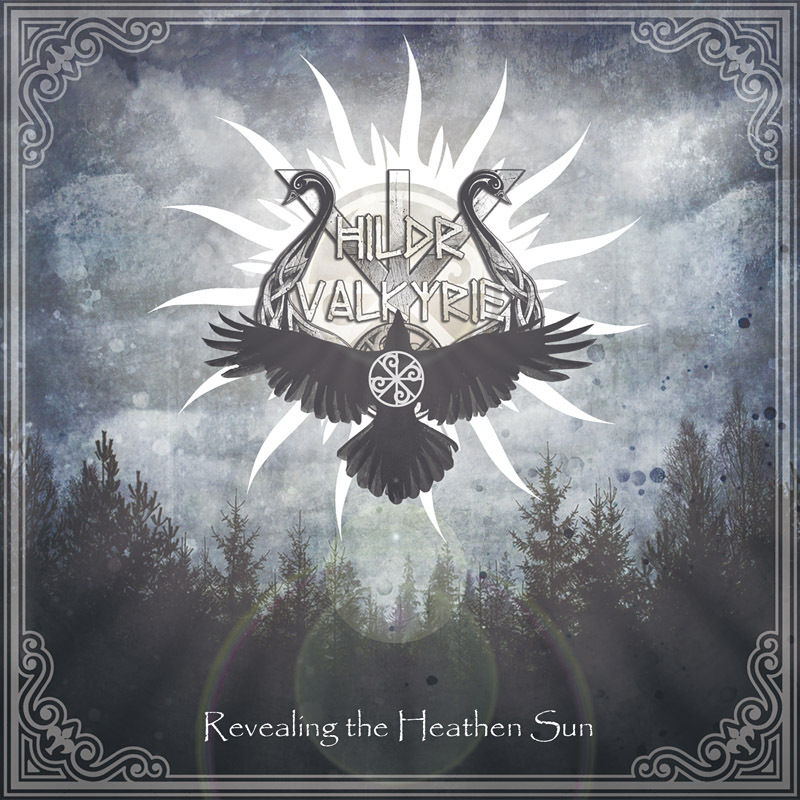 Summoning The Heathen Fire features Runahild from Eliwagar, and with her parts of the lyrics in Norwegian. A very fine collaboration indeed! March To The Path For Walhall then closes off this album and is essentially a medieval-style flute and tambourine combination, which rounds up the pagan music flavor of this album. In conclusion: Hildr Valkyrie stated on Facebook that she writes music based on what her soul decides – and the result is a glorious mix between all sorts of styles. Hildr’s musicianship is glorious as well, you can definitely tell that she has a lot of experience stemming from her many collaborations. The overall curious blend keeps you entertained right until the end, and thus this album comes highly recommended! 10/10.